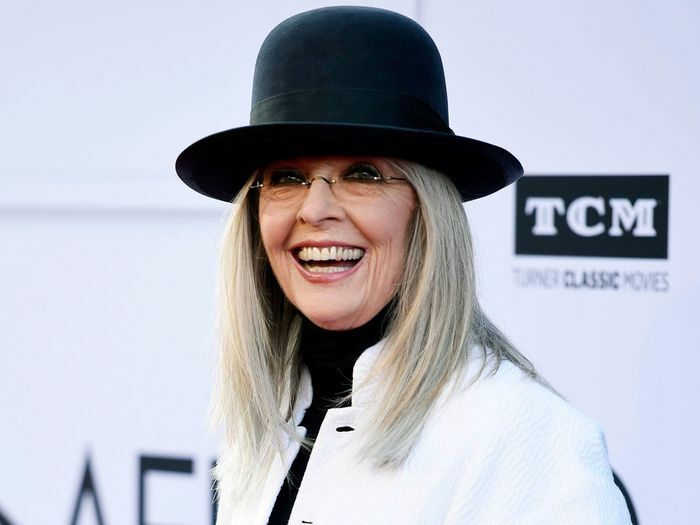 Diane Keaton has been a style icon for over four decades, which means we've been lucky to bear witness to scores of her amazing, trendsetting outfits both on and off the screen (and most recently, on her killer Instagram). Recently when she called out how one wardrobe item, in particular, has garnered more compliments than anything she's ever worn, we were immediately intrigued—and even a bit surprised. In a 'gram, Keaton revealed that her ultra-wide-leg, high-waisted jeans earned this honor. "Regarding these pants: This is seriously true," Keaton captioned her Instagram. "I wore them on the plane. I wore them in the Hotel Dupont. I wore them in the Delaware Art Museum. I wore them on a long walk through the Wilmington streets. I'm wearing them on the train to NYC. I've never received more compliments on anything I've ever worn in my entire life." The post drew comments from celebrities like Gwyneth Paltrow, Jennifer Garner, and Debra Messing, all of whom asked to know the designer of the now-famous jeans. Keaton hasn't yet responded, but we scoured the internet for the best ways to replicate the look for yourself. Next, see nine ways Jennifer Lopez has styled the same shoe trend over 18 years.